The Museum of Jewish Heritage created the Heritage Testimonies® program to prepare for a future time when children and grandchildren of survivors will tell their relatives’ stories. This new program gives people the opportunity to learn about the Holocaust by meeting with descendants of survivors. With the training and help of the Museum’s professional educators, participating second and third generation descendants of Holocaust survivors are currently helping school groups and other audiences connect with the history of the Holocaust on a personal level. The importance and power of these presentations can be felt through student responses. 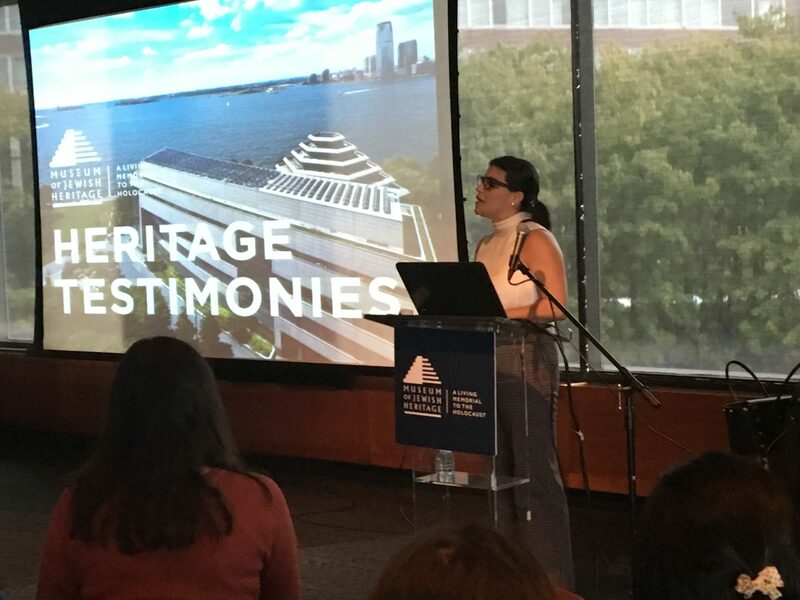 To learn about how you can get involved or support the new Heritage Testimonies® program, contact Elizabeth Edelstein at eedelstein@mjhnyc.org or 646.437.4274.